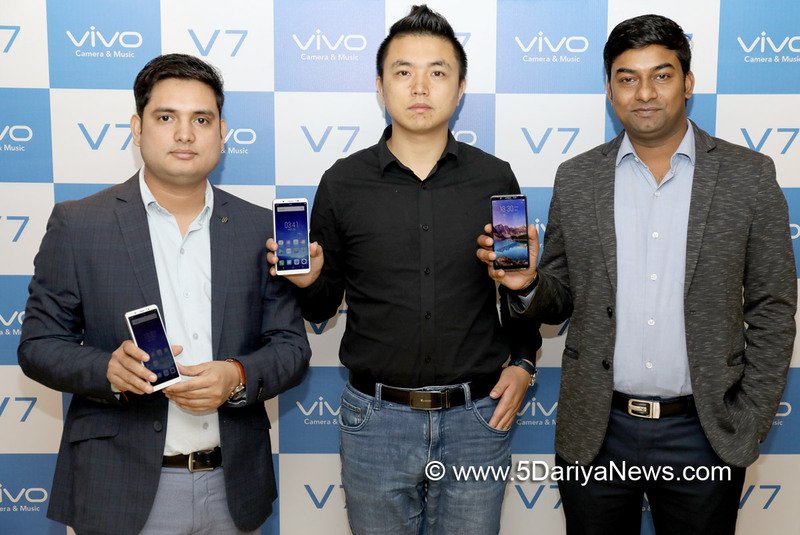 Vivo, the global premium smartphone brand, announced the launch of V7 in Madhya Pradesh at an event in Indore today. With the launch of V7, Vivo extends its strong focus on camera and music with the revolutionary 24MP selfie and 16MP rear camera. Priced at INR 18,990, Vivo V7 will be available in two colours such as Champagne Gold and Matte Black across all retail stores in Madhya Pradesh from November 25th, 2017. The V7 extends the lineage of exceptional photography and features with a 24MP selfie and 16MP rear camera. Besides a powerful camera, V7 also features a sharp 14.49 cm (5.7)HD FullViewTM display with minimalistic bezels to provide users with a more immersive smartphone experience.Commenting on the launch, Mr Kenny Zeng, CMO, Vivo India, said, “Madhya Pradesh is an important market for Vivo and we are delighted to receive a positive response for all our smartphones. We have always focused on bringing products to address the unique needs of our consumers and V7 is another endeavour to provide quality selfies and robust overall performance.